After taking part of a trans-disciplinary residency by Becomebecome on Bali and presenting work-in-progress at art centre Bali Purnati, Sanne is now back in Amsterdam and will be working on a new production in collaboration with scenographer Manon Veldhuis. Sanne Clifford & Co is currently working on and touring with the performance NOTE TO SELF. We did it! The NOTE TO SELF crowdfunding campaign came to a succesful ending at 106%. Thank you for the wonderful donations and we will keep you up-to-date on the project. Looking forward to the première on September 9th at Dansmakers Podium Amsterdam as part of the Amsterdam Fringe Festival! 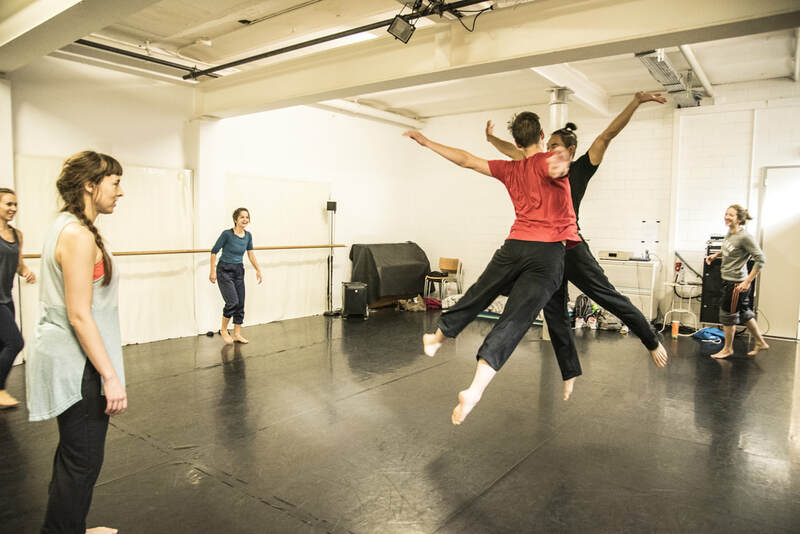 Another great choreolab took place: the Fall lab in Basel! the performance '3 is a crowd' was on tour in Italy! View the photo impression here. To read the article in the Italian paper, go to the press page. 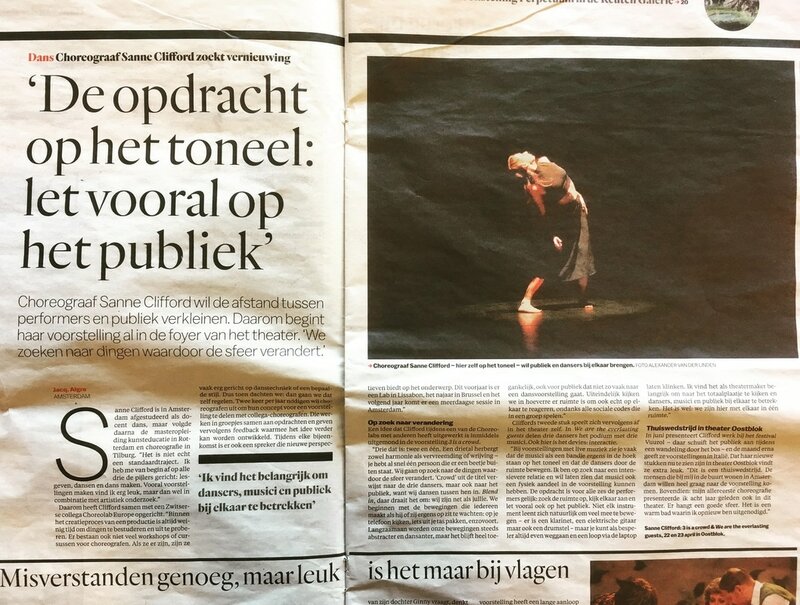 The site-specific performance '3 is a crowd' by Sanne Clifford & collaborators received a 4-star review on theaterkrant.nl! Read the Dutch article here. An Interview with Sanne Clifford in newspaper 'Het Parool', on 21st of April, written by Jacq. Algra. Sanne is one of the artistic directors of Choreolab Europe, a platform she founded together with Anja Gallagher. Choreolab Europe is a collaborative artistic research platform for dance and choreography, to enhance personal and artistic growth. Dancers, dance students and dancing choreographer can join the workshop in this season's labs. NOTE TO SELF trailer I Sanne Clifford & Co from Sanne Clifford on Vimeo. NOTE TO SELF teaser I Sanne Clifford & Co from Sanne Clifford on Vimeo. Trailer NOTE TO SELF at VOLT from Sanne Clifford on Vimeo. 3 is a crowd - trailer from Sanne Clifford on Vimeo. We are the everlasting guests - impressions Oostblok theater from Sanne Clifford on Vimeo.